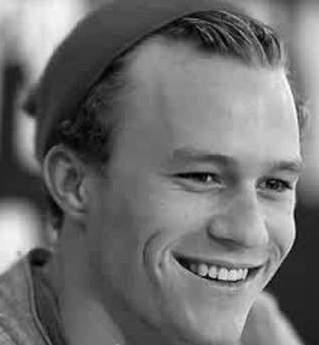 Today we celebrate the life of one of Hollywood's most beloved and talented actors - Heath Ledger - born April 4th 1979. He would have been 37 years old today. Most fans will remember Ledger for his Oscar award-winning performance as the malevolent and sinister Joker in The Dark Knight, in which he blew our collective minds away with his dark take on Batman's arch-nemesis. He forever changed the face of comic-book villains for better and for always, and it will go down in history as one of the best performances of all time. Not to mention his Oscar-nominated role in Brokeback Mountain. That role marked one of the greatest, astonishing acting transformations of our time. I loved Ledger’s work especially his earlier, lighter stuff - his goofy romantic lead in the teen-Shakespeare farce 10 Things I Hate About You, his sly and tongue-in-cheek turn as a medieval sports hero in A Knight's Tale and his con-artist, fairy tale adventures in The Brothers Grimm. He was the first actor that I 'almost' shed a tear for after I learned of his untimely death. Why, I have no clue,... never even knew the guy. He simply had the unique ability to capture our hearts so effortlessly. He was truly a remarkable actor with an exuberant amount of talent and promise, and he will live on in our hearts forever. Forever Young. 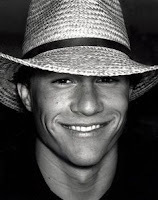 Heath Ledger lived a wonderful, yet extremely short life and he will without a doubt be missed indefinitely. "It's like anything in life, visualizing the old man you're going to become: As long as you have a clear picture of that - the life you want to lead - eventually you'll probably get there." "When I die, my money is not gonna come with me. My movies will live on for people to judge what I was as a person. I just want to stay curious and keep smiling like the Joker." "If you make decisions based on people's reactions or judgements, then you make boring choices."